As an expatriate member and past president of the Civil War Round Table of Kansas City, I want to contribute this article from the Nashville, Tennessee CWRT. I received a notice on the passing of Joseph G. Rosa on January 15 in Ruislip, England. Joseph G. Rosa was an expert on James Butler “Wild Bill” Hickok and a friend of mine. Joe wrote several books on Wild Bill and the equally Wild West over the years, and befriended the Hickok family in Troy Grove, Illinois. Joe and I talked a good bit about Wild Bill’s Civil War career. 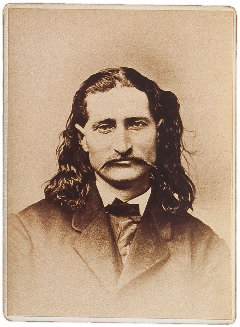 Over the years, I collected a good bit of the existing material on the life and times of Wild Bill Hickok. Joseph was a quiet spoken, erudite gentleman who had been writing about Wild Bill since the late 1960’s. The following quotations are taken from the story, “Wild Bill Hickok biographer dies,” which appeared in the The Mendota Reporter on March 3, 2015.